Most people who celebrate Christmas have some holiday collectibles. Christmas collections may happen inadvertently as you accumulate items that catch your eye or they may be methodically planned. Either way, new pieces are fun to gain and add personality to your Christmas décor. The items people inherit, save, and purchase to add to their collection each year are personal. What appeals to one person may not appeal to another. It used to be that adding to a Christmas collection was challenging, especially if you were looking for vintage or discontinued items. Today, it's easier than ever to find holiday collectibles, thanks to year-round holiday shopping on the internet and online auction sites like eBay and Etsy. Many people have treasured memories of lying on the floor beneath a Christmas tree watching a train go round and round a track. As a result, trains are popular Christmas collectibles. 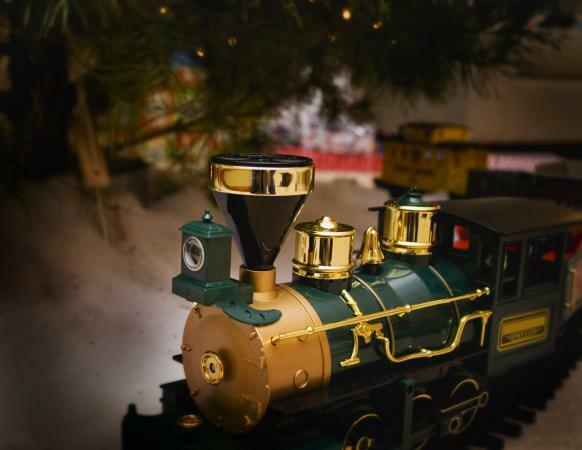 According to the National Toy Train Museum, toy trains were introduced in Europe in the 1860s. In 1901, the popular Lionel company made its first electric train to display in storefront windows. From there, many manufacturers such as American Flyer, Ives, LGB, and Marklin jumped on the model train track so to speak and made model trains for consumers. Today, people collect both antique toy trains and contemporary trains. Train sets may be simple or elaborate. They're often surrounded by meticulously created landscapes which include faux trees, bushes, and even people. Toy trains are for sale at many toy stores, including Toys R Us. If you're interested in antique trains, you'll find many options online. Try eBay or Trains, Toys, and Hobbies. Both offer hard-to-find, discontinued trains and accessories. Lionel Trains is still in business after 115 years. They offer a huge selection of trains for both beginner and experienced collectors. Visit their website to learn which trains may be right for your collection. Model trains and train sets vary in cost. For example, a MOTA Classic Holiday Christmas train set costs about $60 and the Lionel Polar Express train set costs about $400. If you prefer to create your own set, the price of individual engines and boxcars also varies. Most start at around $50. Track sets costs about $25 and up. If you buy online, shipping costs may apply. Jim Shore is an award-winning artist of American folk art inspired figurines. His grandmother was a master quilter who influenced his designs. In 2001, Jim partnered with Enesco to make his figurines more accessible. They've been sought after since. Jim's figurines are made of resin and feature vibrant colors. Choices include angels, Santas, snowmen, the Holy Family, animals, Disney characters, and characters from beloved holiday classic movies. Some figurines are musical while others light up. Prices range from about $6 for a small ornament to around $350 for an impressive two-foot Santa. Buy Jim Shore figurines online, through QVC, or at many department stores and Hallmark stores. Department 56 came on the scene in 1976 after a group of friends created a lighted, ceramic Christmas village inspired by a walk through a quiet river town. The friends soon built upon their Original Snow Village with new houses and accessories. Over the years, Department 56 has recreated popular historical characters and movies ranging from the town of Bethlehem and Christ's birth to the cherished family holiday films, A Christmas Story and Elf. If you're a new collector, Department 56 villages are a great option since you can start with a single piece and add to the collection each year. There's something for everyone, no matter your interests or decor. You can find Department 56 pieces at many department stores, Christmas specialty shops such as Christmas Tree Hill, and online. Prices vary greatly, depending on the village and the item. Full-size buildings may cost about $80 to upwards of $150. Accessories cost around $25 and up. Shipping costs may apply when ordered online. Santa Claus is an iconic symbol of Christmas. The history of Santa Claus dates back to the 4th century and the patron saint of children, Saint Nicholas. But it wasn't until Clement Clark Moore penned The Night Before Christmas that the Santa we know and love today became popular. Santa Claus figurines are available in all shapes and sizes, but Possible Dreams Santas stand out from the crowd as high-quality collectibles. Possible Dreams Santas have been around since 1985. They've been part of the Department 56 family since 2005. The Santas are made from a stiffened fabric known as Clothtique. They're known for their expressive, detailed faces, vibrant colors, and realistic costumes and accessories. Look for Possible Dreams Santas in department stores and Hallmark stores. You can also find them online at Department 56, Christmas Tree Hill, and Bronners. To add to your collection, Department 56 offers a line of accessories to display your Santa. The price of a Possible Dreams Santa is about $60 and up, plus shipping where applicable. According to the Nutcracker Museum, nutcrackers started out as utilitarian tools with no artistic appeal. But by the 15th and 16 centuries, elaborate nutcrackers made of boxwood were being made. The painted, standing nutcrackers that are popular collectibles today were first sold commercially in Germany in the late 1800s. Today, collectors can find nutcrackers in a huge range of sizes, shapes, and characters. The most sought after nutcrackers hail from Germany from companies such as Christian Ulbricht, Erzgebirge-Palace and Simply Steinbach. 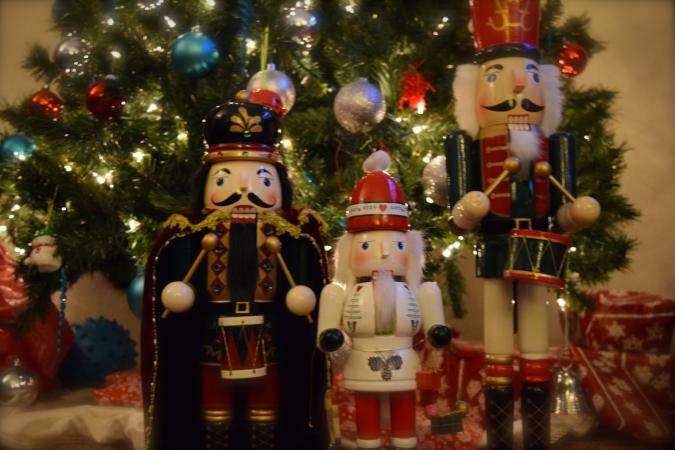 You may also find nutcrackers at most department stores, drugstores, big box stores, and even dollar stores. Prices vary widely by size, subject, and manufacturer. Expect to pay about $10 for a small, mass manufactured nutcracker to several hundred dollars or more for a larger nutcracker handmade in Germany. Shipping costs may apply when ordered online. For Christians, nativities showcase the reason for the season. 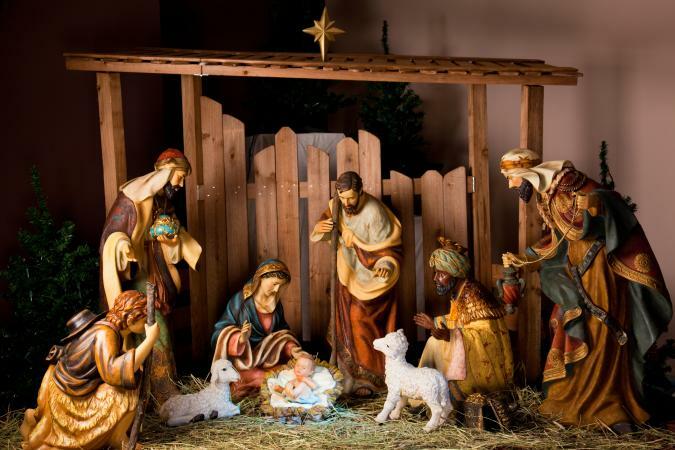 Most Christian homes have at least one nativity set prominently displayed throughout the Christmas season. According to Smithsonian.com, St. Francis of Assisi showcased the first nativity in 1223. He used real animals and real people to depict the nativity story. Today, most nativity sets are small enough to fit on a mantel and are made of resin or porcelain. They usually include the Holy family, a shepherd or two, an angel, three Magi, and donkeys, sheep, and cows. A nativity collection often features nativities made of different art mediums, materials, and sizes. You may choose to collect only nativity scenes housed in a traditional creche or you may add other types of nativities such as a snowglobe to your collection. Nativity scenes are easy to find. Most department stores, big box stores, and drugstores sell them during the Christmas season. They may also be found online. Bronner's Christmas Wonderland has a nice selection. Like most Christmas collectibles, nativity scenes may cost a little or a lot. For example, a lighted nativity scene from Collections, Etc. costs around $14, plus shipping. A Fontanini nativity scene with Italian stable is about $300, plus shipping. When Hallmark introduced their first Keepsake Ornaments collection in 1973, a new Christmas collectible was born. There are more than 100 ornament series that center on themes. Ornaments are only available for a limited time which makes them popular for collectors around the globe. Keepsake ornaments are available in a variety of materials such as wood, resin, porcelain, acrylic, and bone china. Some subjects include traditional Santas, churches, and angels, along with milestone birthday or year ornaments, and plenty of themed ornaments, like birds. 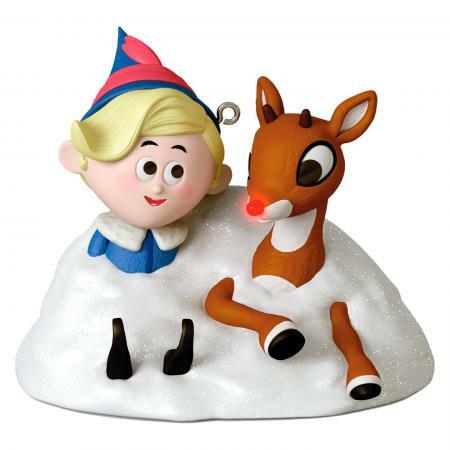 Ornaments are also available for popular movies, Disney characters, toys, and books. Many have animation, lights, and music. Some parents and grandparents start ornament collections for their children and grandchildren. Hallmark ornaments are available at Hallmark stores and some department stores such as Kohl's. They cost about $8 for a mini ornament and around $13 and up for larger options. Shipping may apply when you order online. Sellers on eBay and other auction sites usually offer discontinued ornaments. Prices vary by seller but you can often bid on ornament lots for a discounted price. 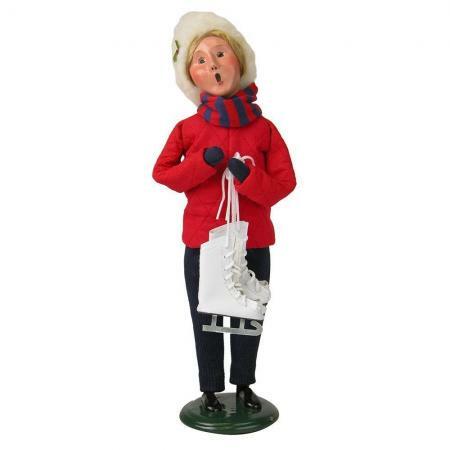 Byers' Choice caroler figurines harness the nostalgia of going Christmas caroling on a crisp, wintry night. They came about in 1960 when artist Joyce Byer made a Christmas decoration that reflected her traditional Christmas memories. The original carolers were made of scrap fabric, clay, paint, and some of Joyce Byer's sons' hair. Today, there are more than 80 artisans who make the beloved carolers. Many Byers' Choice figurines have a Victorian or colonial feel and wear elaborate clothing representative of those eras. All carolers have a trademark, O-shaped mouth and most carry props. Some themes include the 12 Days of Christmas, characters from A Christmas Carol, and caroling families. Some subjects include the Holy family, Santa and Mrs. Claus, and men, women, and children. Many people display Byers' Choice figurines among a Christmas village. You can find current figurines online, at Christmas Tree Hill shops, and at many upscale department stores. Retired carolers are popular items on eBay and other auction sites. 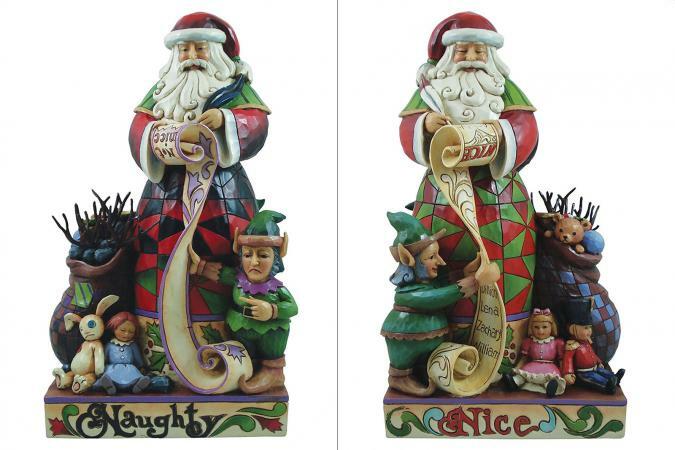 The cost of carolers varies by size and subject but start at around $60, plus shipping, if applicable. Shiny Brite ornaments: These ornaments were first produced in the late 1930s. They were made in America, coated with silver nitrate, and decorated in vivid colors. Christmas cards: Holiday greeting cards with vintage images are sought after collectibles. They were made from paper not heavy card stock, so many didn't survive the decades. Wrapping paper: The colors on vintage wrapping paper were less vibrant than what you find today, but that's what makes them appealing to many collectors. Most vintage wrapping paper is flat wrap. 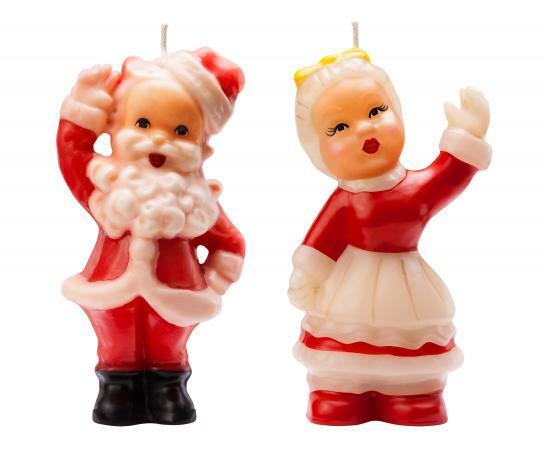 Candles: Sought-after vintage Christmas candle collectibles include plastic candelabras and Gurley figural candles such as carolers, Santa, reindeer, trees, choir children, and snowmen. Icicles: The icicles that adorned Christmas trees decades ago, also called tinsel, was thicker and heavier than icicles today. Since they were often tossed out at the end of the holiday season, new vintage icicles sealed in the box are a great find for collectors. Lights: Large, chunky vintage Christmas tree lights, figural lights, bubble lights, and vintage Christmas tree star toppers are all popular Christmas collectibles. Revolving color wheels that continuously change the color of a Christmas tree are also sought after. Cookie jars: No Christmas celebration is complete without cookies! Vintage cookie jars are available in many Christmas icon shapes such as Santa, Frosty the Snowmam, and Christmas trees. Santas: If you're a fan of jolly Old Saint Nick, vintage Santas are available as figurines, stuffed toys, blow molds, salt and pepper shakers, mugs, and dishes. Candy dishes: Vintage candy dishes may have held old fashioned ribbon candy or cut rock candy. 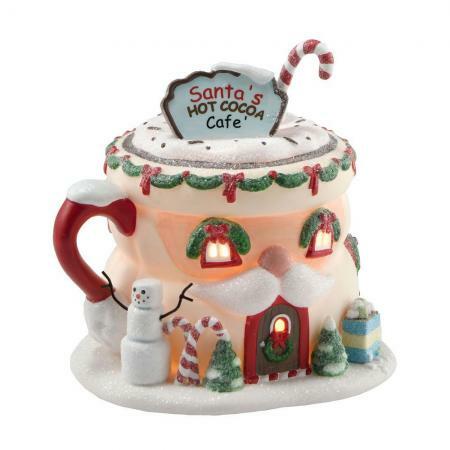 Popular candy dish designs include Santa and his sleigh, Christmas trees, holly leaves, and snowmen. Aluminum Christmas trees: Aluminum Christmas trees, with their sparkling silver branches, came on the scene in the mid 1900s. They phased out of popularity a couple decades later, but are enjoying a rebirth as a vintage collectible. Wreaths: Plastic, faux greenery wreaths decked out with Christmas balls, plastic bows, and plastic bells are making a name in the collectible realm. Wreaths made entirely of vintage ornaments are also popular. Cardboard houses: Tiny, intricate cardboard houses made by the Putz company in Japan are delightful decorations. Most are covered in mica "snow," and some feature mini bottle brush trees. The best place to find vintage collectibles is Grandma's attic or your parent's basement. If you can't find what you're looking for, most antique stores have vintage holiday decorations. Sellers on both eBay and Etsy offer tens of thousands of vintage collectibles at any given time. Craft shows, estate sales, and garage sales are also great places to find vintage items. The price of vintage collectibles varies by subject, age, and condition. For example, this box of 12 Shiny Brite ornaments sold on eBay for $24.50, where this lot made in Poland sold for $84. Since many vintage items can be found in antique shops and garage sales, you just might negotiate a great deal. Most people have at least one Christmas collection. New collectors have many collectibles options to choose from. You may start a collection for sentimental reasons to recreate fond family memories. Or it might be all about the thrill of the hunt to find a specific item. The beauty of any collection is that you make it your own by purchasing items you love. Whatever your reason for starting a holiday collection, it's an enjoyable way to adorn your home and create holiday traditions to last a lifetime and beyond.